The introduction of new language programs and an increased focus on First Nations and Métis education are among the highlights of the new school year at Prairie Valley School Division. French immersion programming is being introduced at White City School this fall at the Kindergarten, Grade 1 and Grade 2 levels. There has been strong interest from parents, with more than 40 students enrolled so far in the three grade levels. French immersion will be expanded to higher grade levels annually as the program grows. Prairie Valley School Division is also expanding its First Nations and Métis language courses, with the addition of Cree language courses at Bert Fox High School and Balcarres Community School. These courses are part of a broader strategy at Prairie Valley School Division to improve educational opportunities for First Nations and Métis students. 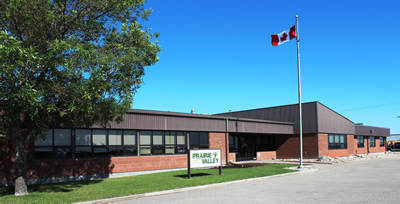 There are 15 First Nations located in or within close proximity to Prairie Valley School Division. Also new this fall is the addition of a First Nations and Métis Catalyst, a position created to oversee Prairie Valley’s First Nations and Métis Action Plan. This is a senior management position developed through an innovative agreement with the Ministry of Education. “These initiatives and others are part of Prairie Valley’s commitment to ensuring all students achieve according to their abilities,” says Director of Education Ben Grebinski, explaining that improved learning opportunities will be a priority this school year. Classes begin on Tuesday, Sept. 6, 2011 at Prairie Valley School Division’s 38 schools.